More back issues of Ray Anderson’s “Fastpitch Bulletin” added to our newspaper archives today, from 1986 and 1987. The Oct-Nov 1986 issue includes a story with photos on the Western Softball Congress’ year end awards, including MVP’s Glenn Harper (Lakewood Chameleons) and Gary Nilsen (Magna Plating), as well as batting champions, Greg Sepulveda (.453) and Gary Nilsen (.486). (Multiple winners, due to the dual open/A format of the league that year). Sepulveda was inducted to the ISC Hall of Fame in 2008, teammate Alan Rohrbach in 2010, with the Chamelons’ Jerry Hoffman to be inducted this summer, in Quad Cities. No shortage of talent on that team. (1983 ISC champions, 1986 runner-ups). Harper had a monster year in ’86, leading the league in home runs and RBI in addition to winning the league’s MVP award. Teammate Kevin Herlighy was named the open division’s top pitcher. The December 1986 issue features a story on page 13 about Ty Stofflet celebrating his 45th birthday — and his record breaking 45th win at the ASA Majors. It also includes a story about the ASA’s addition of a “B” division for Nationals. The January 1987 issue features stories about the pending departure of Jimmy Moore of ISC World Champion Pay ‘n Pak to Detroit, and Doug Gillis moving over to Pay ‘n Pak, as well as the signing of legend Peter Meredith by Trans-Aire International of Elkhart, Indiana. The February 1987 issue features a cover story on Red Meairs of the Long Beach Nitehawks, written by Larry La Rue of the Long Beach Press Telegram. Note that you can control the “embedded PDF” below – by clicking the icons at the top, to display pages larger, smaller, or two to a page. The March 1987 issue features articles forecasting the 1987 season for many of the top teams, including a revamped Guanella Brothers. 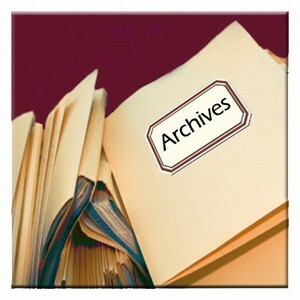 These issues are part of our growing archives library, fifteen issues and growing.